Zone Base: Rev up and roll out! Rev up and roll out! 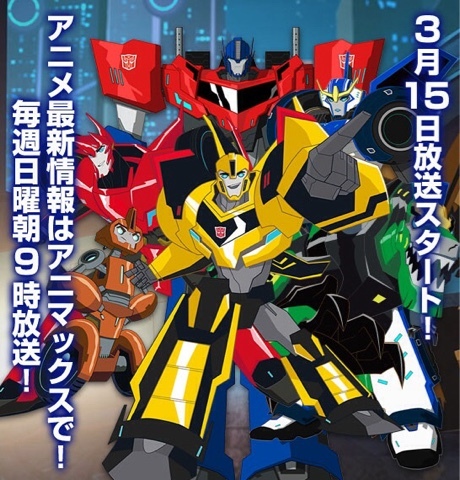 I really like the current Transformers cartoon (Robots in Disguise). It's a fun show, that doesn't force seriousness, it lets it happen naturally. The premise of the show has Bumblebee leading a group of Autobots on Earth hunting down Decepticons who've escaped a crashed prison ship. At first the team is just Bumblebee and a few rookies, until he is joined by other Autobots and eventually Optimus Prime (who insists Bumblebee continues to lead his crew). The Decepticons are very unique in that most have an animal based robot mode. The main group of Decepticons is a team called the Pack, lead by Steeljaw. Recently the Pack's numbers have been bolstered by a newly discovered larger group of Decepticons of whom Steeljaw has managed to work himself into a leadership role. The show takes a 'monster of the week' format, with the overall story framing each season. It's funny, it's light hearted, and it's fun. But don't let that fool you, there's a solid ongoing plot that drives the show. Bumblebee and his crew goes through struggles with self confidence, self awareness, and learning the value of teamwork. None of the heroes are perfect (not even Optimus Prime) and they face crazy obstacles together. The show is intended for elementary school aged children, but myself and other fans my age have been finding the show just as good for us old folks. It airs weekly on Cartoon Network, can be viewed in demand on the Cartoon Network website and through most cable providers as well as Netflix. I'd suggest it not only to Transformers fans, but also fans of cartoons in general.